My most frequently asked question is “what are the best blenders for smoothie making?”. As most of my recipes for Green Thickies (complete meal smoothies) involve blending up harder ingredients such as oats, nuts and dates it is essential that I have a decent blender as I like my smoothies SMOOTH. I have owned loads of blenders in the past, and although cheaper blenders will do the job you have to be more careful to add more liquid, add food in certain orders and blend for longer. And still the smoothies are often a little bit rough in texture. Some of these blenders aren’t the cheapest, but they are the best. 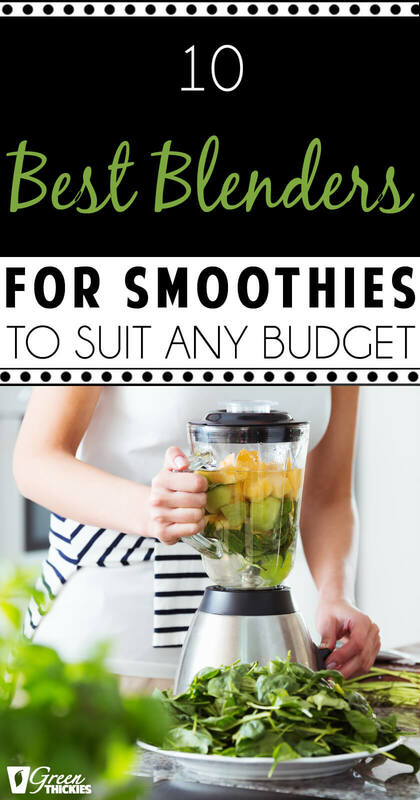 You definitely get what you pay for with blenders and although high speed blenders are much more expensive than some of the cheaper options in this list, you will definitely notice the difference in the quality of your smoothie. Here are my favorite blenders on the market in 2019 which suit every budget, with my honest opinion of each brand. If you don’t have time to read the whole article, basically, this is my favorite blender for home use if you want something that is going to last a lifetime. However, if you have a low budget, and just need a cheap blender now and one that you can travel with, I recommend this blender. If you have more time, please read the full article to get all of my 10 best blender reviews. This is pretty much the industry standard for being the best blender ever. I own this blender and it is honestly the best purchase I ever made. I use it multiple times every day and cheap blenders just do not compare. If you make a lot of blended food, you absolutely won’t regret buying this blender. 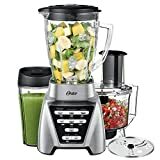 I use this blender for my large batches of green smoothies, soups, and pasta sauces. You can even do a wet chop of your veggies by adding vegetables to the jug, covering in water and turning on and off quickly about 3 times. I make cauliflower ‘rice’ like this and it takes seconds. Then I drain the water off and heat the cauliflower rice in a pan. High speed, can pulverise pretty much anything in hardly any time at all. The use of a tamper can push ingredients down towards the blade allowing all ingredients to be blended quickly. Adjustable speed for blending many different types of foods. Very easy and quickly to clean. The large container isn’t always suitable for making smaller batches of ingredients such as small quantities of nut butters or ice cream. There is actually a new cup and adapter you can buy which solves this problem. But obviously this is an extra cost on top of the price of an already expensive blender. So, if you’re like me, you might find yourself wanting to buy a Vitamix alongside a personal blender that you can take with you on vacation. Despite this limitation, I wouldn’t hesitate to buy a Vitamix again and I use it more often than all of my other blenders. One major plus point for me is the fact that I’ve had my Vitamix for over 10 years and it is still going strong. The warranty lasts for 7 years which is a really long time. A lot of my cheaper blenders blew up within a couple of months so this blender has stood the test of time. If you want to read why others also adore this blender too or want to buy one on Amazon, click here. This is the only other blender that truly compares favourably to the Vitamix. I also own this blender and I use it almost as often as my Vitamix. High speed, makes the hardest of ingredients extremely smooth. Smaller in height than a Vitamix so it’s easier to fit under counters. The reason why I don’t use it as often as my Vitamix is that the capacity of the jug is a bit smaller and I make humongous batches of smoothie every time I use my blenders. But sometimes I actually use both my Vitamix and my blendtec at the same time when I’m making a lot of smoothies. I do prefer this blender over my Vitamix for certain types of food though. For harder ingredients and thicker recipes I prefer this model because the shorter, wider jug seems to blend food with less water content more easily. I also adore the twister jar which is a smaller container. I use this for making small batches of nut butters, ice cream, dips and pretty much anything small in quantity. Sometimes blades don’t turn in larger jugs if you don’t cover the blades completely with food. Want to take a walk on the Wildside? You can read more about the Blendtec on Amazon by clicking here. You need to buy the Twister jar separately. You can get that here. This is a frozen smoothie maker. It shaves ice and frozen fruit to make frozen cocktails and smoothies. You might find yourself with a cheap blender that doesn’t blend ice and fruit. 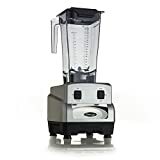 So instead of forking out a lot of money for a high speed blender, you might want to get this cheaper alternative and make use of both types of blenders. It’s great that this smoothie maker does a good job of blending frozen ingredients so you don’t have to worry about blowing up your blender. If you fancy frozen cocktails you can buy the Margaritaville and read more reviews on Amazon here. Finally… A blender to rival Vitamix for a fraction of the price. This can make nut butters, ice cream, soups and smoothies and has a number of different features. The unique thing about this blender is that the blends turn one way and then the other, so food never gets stuck in them unlike a lot of other blenders. Also for a very low price, you also get an individual smoothie cup and a food processor attachment! I use my food processor every week so this is definitely a plus point and a big space saver for me. To read why others think the Oster really does rival the Vitamix or to buy one to find out for yourself, check it out on Amazon by clicking here. The Nutri Ninja blender is a more affordable blender that will blend most smoothie ingredients and crush ice. 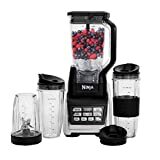 I love using my Ninja when I’m making single servings of smoothies because it saves me having to wash up a big blender. If you only want to make a small smoothie, sometimes blades in bigger blenders won’t even turn at all. So being able to blend directly into the container I am going to be drinking from is a massive time saver for me. I often take this blender on vacation with me because I don’t want to risk damaging my more expensive blenders. On holiday I can do pretty much everything that a Blendtec and a Vitamix could do at home. I can blend up massive batches of smoothie for my family containing hard ingredients like nuts, seeds, oats and frozen fruit. Or I can just whip up a quick smoothie for myself which I can grab and go when we’re in a hurry to leave the house. If you don’t have the money for a professional high speed blender like a Vitamix, this would definitely be my recommendation for you. For a cheaper blender, it certainly does the job very well. It has a 6 blade technology to draw food downwards which makes blending easier. I also love that it has multiple cups so I can blend up different smoothies for me and my family depending on what we want in the smoothie. This is perfect to get kids to start choosing their own ingredients and getting them involved in meal prep as they are much more likely to drink the smoothies. If you’d like my complete guide to the 8 best Ninja blenders including videos, click here to get my Ultimate Guide To Ninja Blenders. Want a Ninja? You can get one on Amazon here. This is a medium priced blender with blade technology to push food around the blender which creates an even blend. Looking to buy a Breville? You can get your hands on one at Amazon by clicking here. This portable USB blender allows you to make smoothies or juices wherever you are. This mini blender is suitable for chopped fruits, soft vegetables and liquid. Gives you a healthy smoothie snack or juice when you need a quick pick me up. Truly portable and convenient, blend and drink from the same bottle. Enjoy your fruit juice or smoothie anytime and anywhere. Want this USB Blender? This month only, you can get 30% off the price of this blender (and your entire order) by using the discount coupon code: 30OFFBLENDER at the checkout. Read more reviews and buy one over at the Green Thickies store here. Cheap and cheerful basic smoothie maker. If you need a blender that won’t break the bank, this one is a great product if you are just experimenting with smoothies. Just starting with smoothies? The Hamilton is ideal. You can check it out on Amazon here. A commercial quality blender with a powerful motor, variable speed and timer functions, and automatic shut off for overload protection. Want to read what others think of the Omega? Read more reviews on Amazon here. A blender which is perfect for travelling. I love to pack this pack this blender when I travel by plane because the Ninja is too heavy and takes up too much space in my suitcase. Plus this blender is a lot cheaper so I don’t worry so much about it being broken while I travel. I love that I can blend up one smoothie for myself when we’re on holiday. I’m quite limited to the food I can eat as I have so many food allergies, so I often take a smoothie with me for my lunch, or I whip up my favorite salad sauce with some nuts and spices and pour that on to a plain salad for my dinner in a restaurant. When my kids were babies I also used to to blend purees for them. If you need a blender you can travel with you can buy one on Amazon here. And, while we’re on the subject of travelling, I have also reviewed the 12 Best Smoothie Cups for Travelling here. 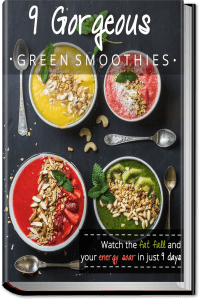 In this video I will show you how to make a perfectly smooth blended fruit or green smoothie with any blender. I also explain how long you need to blend your smoothie for and how to cool down your smoothies. 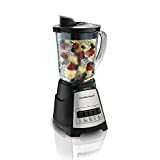 Conclusion: Which Is The Best Blender For Smoothies? I would get 2 blenders! 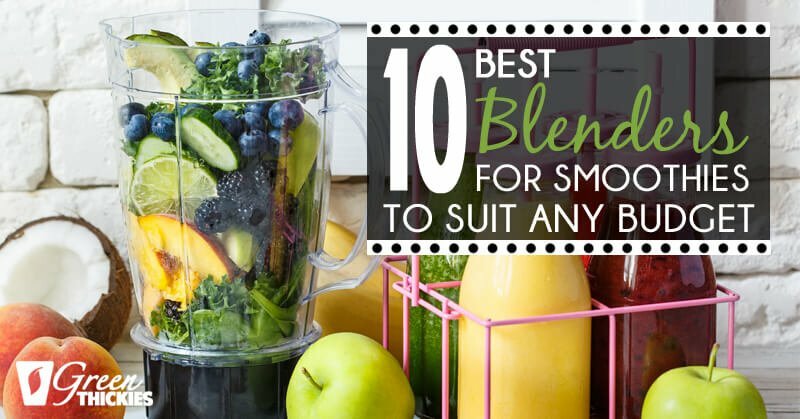 I personally like to have the option to blend a large batch of smoothie in a large blender jug, or to use a personal blender just for one. I mainly use my personal blenders for sauces and dressings more than smoothies, because I mainly make large batches of smoothies at home because my family drinks so many of them. If you have a large enough budget, I would get a Vitamix or a Blendtec AND a personal blender like the Magic Bullet. You could just get the personal blender attachments for either the Vitamix or the Blendtec so you don’t need to buy 2 blenders, but here’s why I wouldn’t suggest that. The personal blender attachments for the Vitamix or the Blendttec will actually cost you more than a cheaper personal blender. AND here’s another reason. I think it’s a great idea to have a travel blender that didn’t cost a fortune because you don’t want to risk travelling with such expensive blenders such as the Vitamix or the Blendtec. So if you have the budget, I’d recommend a Vitamix and a Magic Bullet. If you don’t have a large budget, what I’d recommend is getting yourself an Oster AND a Magic Bullet. Even though a lot of these blenders come with the ability to use a personal blender cup with them, I still think it’s a great idea to get yourself a lightweight blender for travelling. And if your budget is really low and you can only afford one blender, I’d recommend the Magic Bullet. 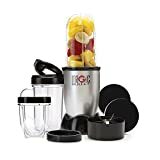 I hope that’s helped you to make the best decision when it comes to choosing the perfect smoothie blender for your needs. So now that you have your blender sorted (hopefully), you’ll be needing some recipes to make in it. 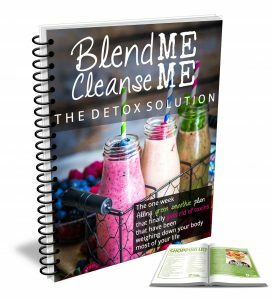 So, I also wanted to share my FREE smoothie cleanse with you called ‘Blend Me, Cleanse Me’. You can lose up to one dress size this week, all by drinking smoothies that taste like dessert! These smoothies are all healthy, homemade meal replacement shakes that you replace your meals with for one week to really notice the difference. Pin this post by clicking here. Which is your favourite blender? I’ve always wanted a Vitamix, but thank you for sharing this list of best blenders for smoothies! I had to save for a very long time to get one and I can honestly say it’s the best and most used thing I’ve ever bought! My Oster with a reversing blade is quite nice, it does what I need it to do. I believe it is called the Oster Fusion blender. It is closer to the $100 range. Thank you for sharing Sarah. I’m glad you are happy with your Oster. I’ve seen a couple of blenders that are advertised as rivaling the vitamix but without the price tag. Not on this list are the Omniblend and the Spectablend. I haven’t tried them personally. Yes there is a much bigger variety of blenders available now so it’s wise to shop around before you invest. i own the omniblend! LOVE it. I have used a vitamix as well. the omniblender is a very good blender and i use it daily. One of the reasons I chose BlendTec is that their newer blender is short enough to fit under the typical U.S. cabinet (18″ height). It’s a simply wonderful blender. And you can get a smaller container for nut butters/seed grinding, and the like when only making a small quantity. The deal I got included that smaller container. Customer service is terrific too. Before that I had the Breville and it’s very good; I found the glass container a little too heavy (one of my hands has mild problems) and gave it away. Thanks for letting me know Beth. I’ve heard a lot of good things about the BlendTec and I’m so glad you found something you like so much. 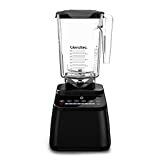 In Australia, the most popular blender at the moment is one called Optimum blender, seen it everywhere on various review websites, got a 5 star review compared to Vitamix so I am leading towards it. All other brands you mentioned not existing in Australia, only Vitamix and Optimum and I’m tossing up between the 2, Blendtec seems good but not a strong presence in Australia, Ninja has a bad reputation, all others, never heard of them. How would you compare the Optimum vs Vitamix (not sure if you heard of the Optimum)? Yes I’ve heard really good things about the Optimum. Let me know how you get on with it if you decide to get it. Hey the Breville is available in Austrlia but under a different name, it’s called ‘kinetix control’ rather than ‘hemisphere control’. It’s a great blender, I bought one 2 months ago and used twice a day every day without any problems. Note that it has 1200 watt power, the same as the vitamix at a fifth of the cost, so I reckon it’s a great deal. im so surprised you dont have the omniblender on here! i consider it just one small step down from the vitamix. VERY very powerful!! Thanks so much Amanda – I’ll have to give that one a try! I want a blender that isn’t plastic. I know Vitamix and the other high power models think glass is a safety hazard. I wish they’d go back to stainless then. I will only use glass or stainless. mmmmmmmmhhhhhh!!!!!!!!!!!!!!!!!!!!!!!!!!!!!!!! I like all of them…..
Hi I’m new to nutribullet. I’m confused by the amount of sodium in the smoothies. I was told to check labels and never have more than 3g but some of these recipes have 70+ grams. Am I looking into it too much? Hi Evie, this is odd, 70g of sodium is dangerous, which recipes are they please I need to double check this. Thank you for highlighting. I have a 17 years old Oster and its been working hard all that time and still do very good smooties! I put everything in it even nuts and the jar is glass! Until it dies i will not buy anything else and it was cheap and can do 60oz of smooties! I think the most important is stainless steel blade that are thick and strong! I haven’t had a proper blender in a long time. I still use the baby bullet for small shakes since my kids don’t really like them yet. Thanks for linking this post with us at #OMHGWW! Hopefully you’ll have a few more to choose from now.